All festival week we are showcasing our fabulous artisan cheeses and specially chosen wines from some of our favourite vineyards. Take your taste buds on a flavour adventure through our new Spring fromage carte. A selection of French and British artisanal cheeses specially chosen by Eric Charriaux of The Premier Cheese Company to represent the best of this season’s cheeses. 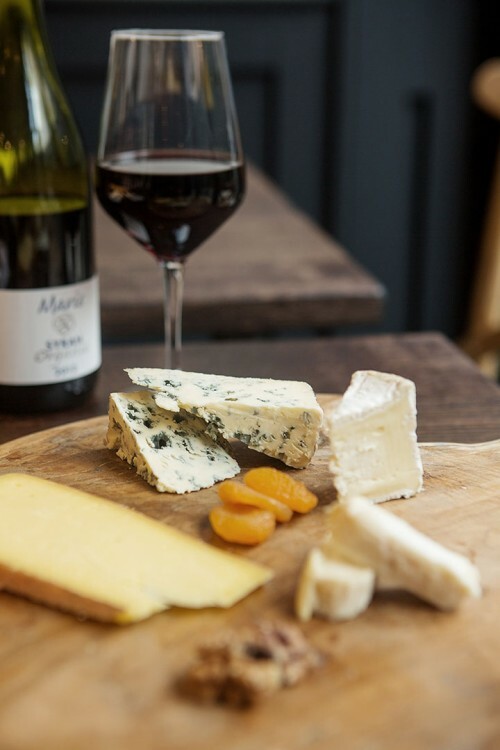 We are so keen for you to try them all that during our Festival of Flavour, April 11th – 17th, when you order a selection from our cheese menu we will let you choose an extra cheese for free. We have also chosen our ‘Festival Favourites’ from our wine list. Order any of them during the Festival of Flavour and we will give you a voucher for 30% off your second bottle of any of the Festival wines, until the end of April. Make sure to try them out between 11 -17 April.